Concierge services company in Geneva Switzerland - Premium V.I.P. Concierge services company in Geneva Switzerland Premium V.I.P. You are a successesful person, you have your own business and a good steady income, but due to this you have a lot of business meetings, flights and plus to everything you can not disregard the family. You have no time to catch everything. 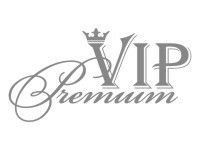 Concierge Service in Switzerland Premium V.I.P. is solution to your problems. To rent a car, a yacht or a plane. Wherever you are and wherever you want to go we will take you there! Quickly, safely and comfortably. We are at your disposal 24 hours a day, 365 days a year. Nowadays people tend not only to have a rest abroad, but also to buy real estate in other countries. It is common practice nowadays to invest money in “leisure property”. Don’t know who you can trust the process of an important event organization? If this event means much for you it really should be bright and catchy. Searching for a professional staff is not an easy thing. It is important to find people who will not only do their duties proficiently, but will be able to gain your trust.